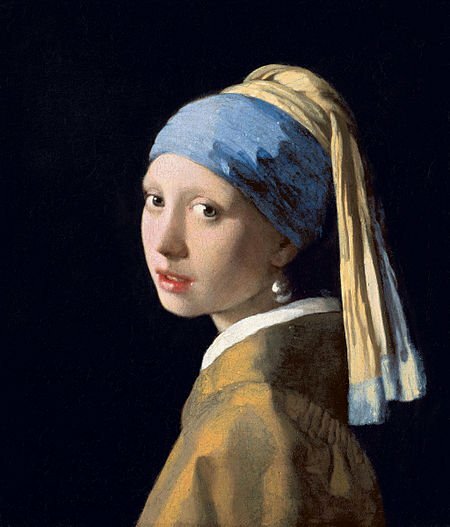 Girl with a Pearl Earring was done by Dutch painter Johannes Vermeer. Many people argue the pearl looks more like polished tin, than a pearl. It's an oil on canvas painting. A Vermeer can go from around 20 million to 40 million.